Harvestehude on the banks of the River Alster is one of Hamburg‘s loveliest residential areas. Here, classic nineteenth century and Jugendstil villas stand next to modern architecture along the Alster. The riverbanks are lined with countless sports clubs and boat jetties. The Sophienterrassen have created an upscale quarter comprising five ‘Alster villas’, 24 townhouses, two park villas and the luxurious new flats still being built in the renovated Sophienpalais. The five ‘Alster villas’ feature attributes such as unobstructed views of the Aussenalster Lake, exclusive fixtures and fittings and spacious interiors. 24 classic, white townhouses with a typically Hanseatic character are grouped around the Sophienplatz square. The apartments within extend over several stories, while their floor-to-ceiling windows, atria and galleries lend them a spacious flair. The two park villas, the ‘little sisters’ of the ‘Alster villas’, are just a few steps from the banks of the Alster. Each stands on its own plot, forming a separate community of owners with six or seven flats. 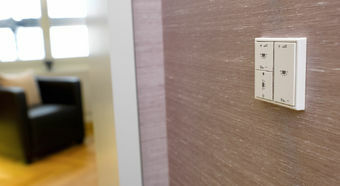 The interiors spaces feature 3.60 metre-high ceilings and high-quality amenities. A fourth residential unit is being developed in the heritage-listed, renovated buildings of Hamburg’s former Standortkommandantur (garrison headquarters), the Sophienpalais. These apartments are crowned by two-storey panorama penthouses, the ‘Skydecks’. Their floor-to-ceiling windows and projecting terraces and balconies create bright residential spaces in a setting offering the best of both historic and modern architecture. 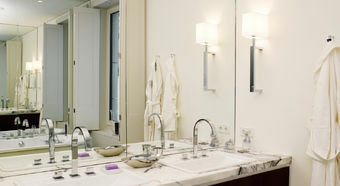 Elements of this complex’s interior design bear the signature of star designer Karl Lagerfeld. 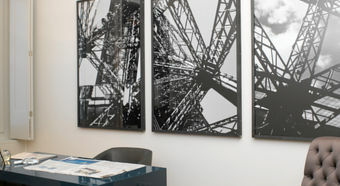 Lagerfeld, who was born in Hamburg, designed a number of the apartments and penthouses as well as the central entrance lobby and Club Lounge. 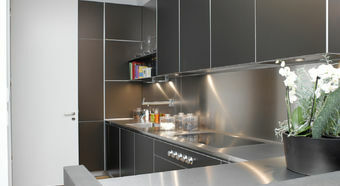 The emphasis here is on stylish design with high-quality materials, right down to the last detail. 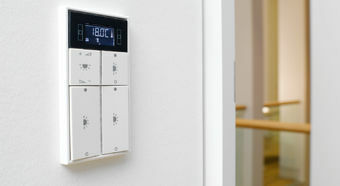 This concept is also reflected in the modern electrical installation: The Sophienterrassen are equipped with JUNG‘s KNX technology. 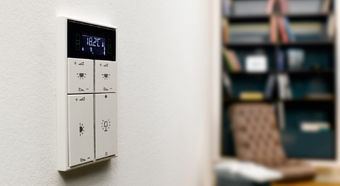 JUNG’s Smart Control is the central control unit. 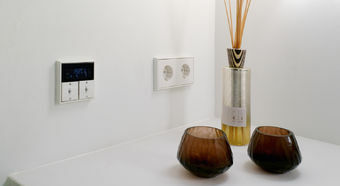 The room compact compact module in the LS 990 switch design in chrome controls lighting, shade and heating. Browsing, scrolling and controlling: It’s all as easy as using a smartphone thanks to a touchscreen and sensory push-buttons. 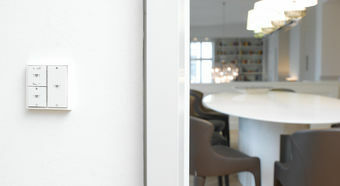 In individual rooms, the KNX compact room controller manages each room’s functions, individually regulating the monitoring of air conditioning systems, lighting and shutters. Installed in the classic LS 990 design in white, it has a clear, purist look. 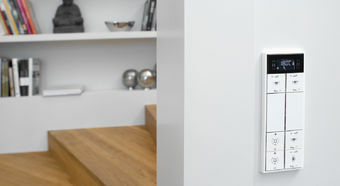 The KNX push-button sensors were also installed in the LS 990 design in white and are used for an easy control of the room’s functions with the press of a button.